If you are looking for information on the Crestcom franchise business opportunity, Crestcom franchises, Crestcom franchising, management, sales training, coaching or consulting franchise, then you have come to the right place. Entrepreneur magazine's #1 management/sales training/coaching/consulting franchise in four of the past six years, Crestcom is seeking distributors and franchisees worldwide. Master distributorships are also available in some countries. Each month, Crestcom distributors, franchisees and representatives deliver interactive, live-facilitated training to business professionals in their language and their city. They are supported in this training by video-based instruction from some of the finest management and sales authorities of our time, including Zig Ziglar, Harvey Mackay, Tom Hopkins, Lisa Ford, Nido Qubein, and Patricia Fripp. Each year, Crestcom graduates far more managers and executives from its management and leadership training courses than are graduated from Harvard, Yale and Stanford business schools... combined. Crestcom also continually upgrades its courses and totally "reinvents" its famed Bullet Proof® Manager training every five years, and the company offers a wealth of sales, marketing and training tools to its distributors and franchisees worldwide. You can get more information about the Crestcom franchise opportunity by filling in the Information Request form. Successful applicants for a Crestcom franchise or distributorship may attend 7-10 days of training, typically held in the U.S. in Phoenix, Sacramento and/or Denver, and then decide if this is the right opportunity for them. Take time now to learn more about franchise opportunities with Crestcom, the Trainers to the World. 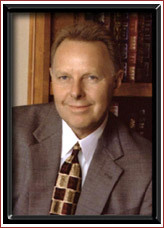 Hal Krause and John Krause established The Crest Group, Ltd., a forerunner to Crestcom International, Ltd., in 1987. The company's name was changed to Crestcom International, Ltd. in 1992. The Krause brothers have many years of experience at the forefront of the training industry. 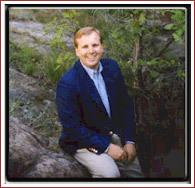 Hal Krause, President of Crestcom International, Ltd., is also a Director and President of FasTrackids International, Ltd. Hal got his start as an entrepreneur when he was faced with the prospect of having to drop out of the University of Wyoming for lack of funds. He took a part-time job selling household items to pay his tuition. By the time he graduated, he had over 100 students working for him and was earning more than the president of the university. Hal graduated with Bachelor of Science degrees in American Studies and Economics and subsequently attended the George Washington University Law School. At age 23, Hal founded American Salesmasters, an international audiovisual company specializing in sales training. The company was awarded the Colorado Governor's Cup Award and the President's "E" Award as one of Colorado and America's leading exporters. He built the company into one of the largest organizations of its kind before selling it, to concentrate on political activities, in the early 1980's. 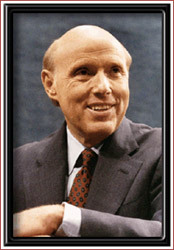 Hal Krause served on the Republican National Committee during the Reagan and Bush administrations. In 1986 he ran for the United States House of Representatives, unsuccessfully. In 1987, Hal and John Krause (John was also involved with American Salesmasters) founded The Crest Group, Ltd. which was the predecessor of Crestcom International, Ltd.
John C. Krause, Executive Vice President, served as Vice President of Sales for American Salesmasters until 1980. Following that he founded John Krause & Associates, a telemarketing firm that developed and marketed training programs, video cassettes, audio cassettes and other training materials. In 1987, he joined Hal Krause in organizing The Crest Group, Ltd.
Kelly Krause, International Marketing Director, is the first in a new generation of Krause leadership. Kelly Krause (Hal Krause's son) worked with Crestcom on a part- time basis through high school and while acquiring a degree in marketing from the University of Colorado in Denver. Starting as a shipping assistant in 1987, Kelly has held a number of positions with Crestcom and currently serves as the company's International Marketing Director. Owning a Crestcom Franchise can give you the opportunity to run your own business ... the opportunity to go as high and as far as your goals and abilities will take you. You'll have an opportunity to offer truly world-class training as a part of a highly respected and rapidly growing worldwide organization. Crestcom "reinvents" its flagship Bullet Proof® Manager program every 5 years, which means you have new materials to resell clients. Let's face it. Running your own business can sometimes be unnerving. It's comforting to have the support of others who've experienced the same problems ... and the same opportunities. If you become a Crestcom Franchisee, you are in business for yourself ... not by yourself. What's So Special about Crestcom® Training? Here's what's so exciting about Crestcom training ... it really works. Crestcom clients have been amazed at the benefits they've received from the training. A study of more than 1,000 evaluation forms completed by participants in Crestcom's flagship program, The Bullet Proof® Manager (a combination of video and live instruction) shows that more than 97% of the participants felt the training equaled or exceeded their expectations. Referrals generated by other Franchisees can be very important to your business ... and Crestcom is THE international training organization. Crestcom training is currently offered by more than 115 Franchisees in more than 50 countries. The training is available in over 20 language versions. Crestcom first introduced The Bullet Proof® Manager in 1990. During the past year, Crestcom graduated more managers from its Bullet Proof® Manager program than were graduated from Harvard, Yale and Stanford business schools ... COMBINED! Crestcom "re-invents" its Bullet Proof® Manager training program every 5 years.